"I am proud of my son and his company. His achievements give me every reason to state here and now that he is my best gift to showbiz in Nigeria and the best gift showbiz has given me. Just watch out, very soon you will hear of Shina Peters and his son, Clarence, doing something unique and great together very soon." 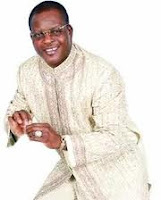 Shina Peters said about his music director/label owner son with actress Clarion Chukwurah. Pele pele o. Now he wants to lay claims. There are many fathers like Shina Peters worldwide. A beg eee, make the step mama no jealous o. Na problem Shina wan start for him house. As for Clarion Chukwurah, make you pray well well o. We all know say no be ordinary headache kill Funmi Martins o. You wrote Clarion Chukwurah Abiola. Is Clarion Chukwurah still with Mr Abiola? God will forgive this man!!! Now he can run his mouth because the rejected stone has turned out to be the cornerstone. Would he have said this if Clarion had aborted the pregnancy when everybody, including Shina, turned against the poor woman. His first son that was under his roof had turned out to be the black sheep of the family to the extent of him disowning him!! Why wont he be proud of Clarence? Will Clarence have become this had he stayed with Shina? No doubt, he was saying this as a face-saving strategy. I would like to hear the reaction of Clarion to this insulting remark. Meanwhile, where is Samiat, Shina's wife? What is her comment to this? Good pikin na papa get am..bad one na de mama him resemble! Abeg Shina take am je je..! Had no clue Clarion was ever with Shina Peters 2 begin with. 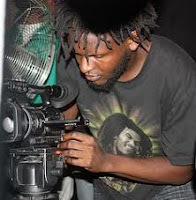 Clarence Peters is d director guy right? shina peters seems to have amnesia. i thot he rejected Clarence's pregnancy? so he is now his son? if clarence did not turn out to be successful, would he have said that? rubbish! he should shut it and go do something with himself. that was how he said tuface is empty.......with a SORRY before the horrendous statement. by the way, i'm yet to be impressed by his son. F*ck Shina Peters with due Respect Sir But F*ck u in every angle of life...A Son u rejected b4 & now on TV Continental u made mention that 2face Idibia is Empty...N Wah o,This Guy just dey find Cheap Publicity dey go...May God 4give u 4 u dont know what u're doing Sir...But F*ck u real hard in life. DAD& SON........BOTH LOOK ALIKE.........D LESSON HERE IS THAT ABORTION IS NOT GOOD.....THANK GOD THAT CLARION DIDNT ABORT DIS BRILLIANT DUDE.......WISHING HIM WELL. Some of this 9ja men are a wrap for real! !...wasn't she like 17 when she had him..and what did he do? ?..now people like this would jump up and say 9ja is rotten nowadays..now you can see where the young men of today get their moral cues from!! Please beg Sir SHINA PETERS to refund my money after giving me the disappointment of my life on my wedding day, he did not come or send anyone to perform, I paid to his access bank account number 0046651907 with account name OLUSHINA ISAAC PETERS on the 28th of August. after failing to perform at the event which took place on 7th of September, he called me on monday 9th of September claiming he was in london with pasuma on that day and he would pay back my money on thursday 12th of september. up till ow he has not paid and i have not been able to reach him....whoever is reading this should please beg him to pay back my money .